As a member of C.U.D.O.S you have unrestricted access to requesting tickets. Spamalot was the winner of the 2005 Tony Award for Best New Musical, while it enjoyed a victorious West End run. This hilarious show is written by Python legend Eric Idle, who has been entertaining the British public for over 50 years. ​Our production will be directed by Nick Harris a first time director for CUDOS. C.U.D.O.S. 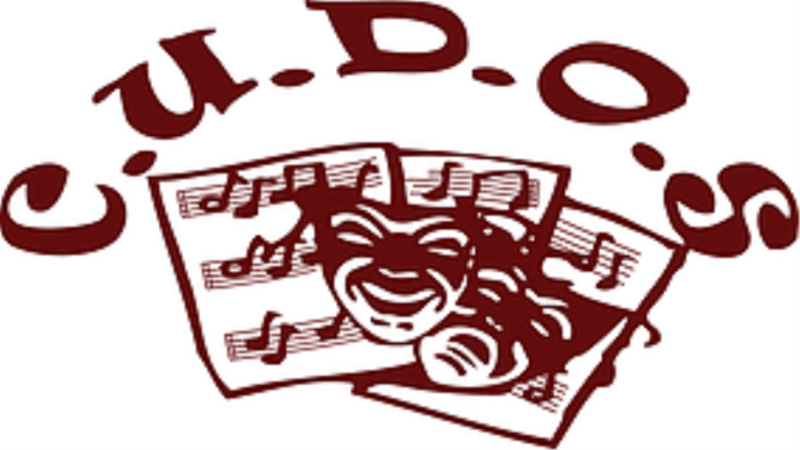 (Crewkerne United Dramatic and Operatic Society), as the name suggests, is based in Crewkerne and we put on four shows a year in The Victoria Hall. They are all great fun to be a part of, not to mention a hit with our audiences. Known on the circuit as one of the friendliest societies in the area, we have a membership that tends to stay with us and we always welcome new members, and so the society keeps growing. Our membership fees are the lowest around and we have no rehearsal or shows fees; once you have paid the annual membership everything else is covered. Every year we stage a pantomime in January, a play in May, a musical in September and a Christmas Concert in December. 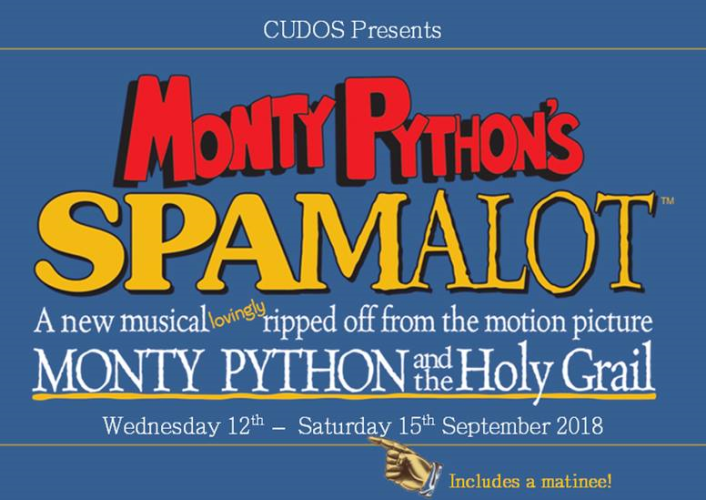 CUDOS terms and conditions: TICKET TERMS AND CONDITIONS Tickets purchased online will be sent as an e-ticket via email within the next working day. Please check your junk mail if you have not received your email. Email cudoscrewkerne@gmail.com or phone 01460 74380, quoting your booking reference, if you require online tickets to be printed for you and held at the box office. Tickets purchased by phone will be held at the box office for collection or can be emailed. No reservations are permitted. We regret that we cannot refund money for tickets purchased, unless the performance is completely sold out and the tickets can be resold.